When your skin experiences extensive damage, this means that the trauma has reached through its various layers, and, in some cases, the damage can be permanent. Over the years, researchers have experimented with a number of different methods of treating skin trauma, and have come up with a few new therapies that look to be extremely promising. Skin grafts are a common method used to heal skin, especially in cases such as burns. What exactly does this involve? Simply put, a skin graft consists of removing healthy skin tissue from one part of the body, which is referred to as the donor site, and then grafting it on to the part of the body where the skin has been damaged. The reason that you would do this is to give damaged skin some healthy tissue to help it rebuild itself, speeding up the natural healing process. To begin with, skin grafts are an extremely painful procedure, and end up putting the patient through even more trauma than what they would have already experienced to actually get the injury. Another downside to skin grafts is the fact that one area of healthy skin on your body will need to be sacrificed in order to create the graft, meaning that your body then has even more healing to do. With patients that have quite extended injuries, they often need to wait for the donor site to heal before more skin can be taken, meaning that the overall healing process ends up being significantly prolonged. Wondering why grafts can’t just be donated by a family member, or a cadaver, or even an animal? This has all been tried and tested, but the patient’s body usually ends up rejecting these grafts, and, since they are also so vulnerable to infection, they cannot be given more immunosuppressants to help their bodies accept the grafts. It was in the 70s that doctors first began looking for new sources of skin for skin grafts, but, with the skin being such a complex part of the body, the research was in no way easy. Today, these studies have taken off in multiple directions, and there are quite a few options available now when it comes to lab-grown skin. One of these involves surgeons taking a small sample of healthy skin from the patient, about the size of a postage stamp. With this, they would then create a suspension of individual skin cells, which only takes about 30 minutes or so. This suspension can then be sprayed onto a wound, and this would significantly speed up the healing process, while reducing the chances of severe scarring, especially when compared to grafting. The suspension would be able to treat a wound that is up to 80 times larger than the sample of healthy skin taken, making this a far more efficient way to treat patients. The suspension used would also contain melanocytes, and these would progressively deposit melanin into the skin over the course of a few months, meaning that your skin would return to its normal pigmentation much quicker. While this treatment is still experimental, it has already been used on several patients, with promising results. One Japanese lab has managed to grow a 3D layer of skin using cells from the gums of mice. These were used to create stem cells, which were then implanted into the mice to connect to nerve and muscle tissues. This is something that artificial skin cannot usually do, as it tends to lack important organs, such as hair follicles and exocrine glands. This new lab-grown skin has these organs, meaning that it can do everything from grow hair to sweat, making it a near-perfect replica of human skin. There is still more research to be done, but this could be another way to treat extensive skin trauma. While that lab in Japan has managed to grow skin and stem cells from cells taken from mice, German scientists have been growing artificial skin using cells taken from the discarded foreskins of young children. This may sound a little crazy, but permission was given to the scientists from each set of parents, and this skin would have otherwise just been thrown away. What’s so special about foreskin? Well, these cells do not trigger the immune system of the host when the skin is applied, unlike skin grafts. Finally, there is a new skin tissue product that has been developed in Madison, and has been designated a regenerative medicine advanced therapy by the FDA. It means that it will potentially qualify for faster approval, so you can expect to see it on the market relatively quickly. How exactly does this skin tissue work? It was created from a line of human skin cells that do not die, and are also disease-free. This means that the skin tissue that regenerates will not carry any viruses. Many successful trials have been carried out, and this product may potentially be used to treat skin traumas in a mass casualty. When a patient undergoes a skin trauma, the healing process is not only hard to deal with mentally, but the resulting scars can also be itchy, thick and painful, while causing a loss of function to that part of the body. For example, even after their wounds have healed, some burn victims still cannot use their limbs. Over the past couple of years, fractioned CO2 lasers have been used to help relieve all the tension placed on these scars, meaning that people can get their function and mobility back. The laser basically evaporates tiny areas of tissue, almost as though it is drilling miniscule holes into the skin. This then allows the scar to remodel itself, giving the patient function back. This laser has already been used in studies involving veterans who experienced severe burns, and is still being used today by many top dermatologists on burn victims, once their burns have healed. Sometimes, even though the skin may go through relatively extensive damage, it may not need a graft or artificial skin applied to it, and may simply just need the right environment in which to heal. Researchers in Brazil have addressed this, and have created an innovative biological dressing that could really help patients suffering from various skin traumas. Wondering what is so innovative about this dressing? It has been created from fish skin, the tilapia to be precise. The tilapia is a freshwater fish, and is one of the most common, as well as disease-resistant, species of fish in Brazil. Mass produced on farms for food, 99% of tilapia skin ends up discarded, going to waste. 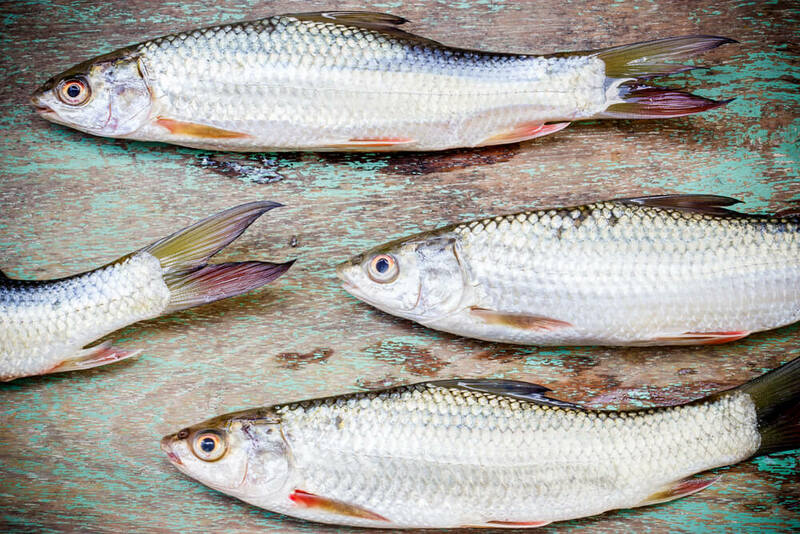 All of this helps to remove scales, muscle tissue, toxins and any diseases, as well as the fishy smell that tends to accompany fish skin. The skin is then stretched and laminated, before being stored in refrigerated banks in strips, where it can remain for up to two years. Wondering how it actually works on a skin trauma? The skin strips are placed over the skin trauma, after which they form a mould over the wound, and almost appear to become a part of the body. It soothes and cures the wound, and, since it is high in humidity, as well as a type of collagen, it reduces the amount of liquids, plasma and protein that are lost from the affected area. The strips are covered in bandages, and, unlike traditional dressings that have to be replaced, usually in a way that is quite painful, quite regularly, these strips can remain on the skin for between 7 to 11 days. Currently, Brazil has a human skin bank that it draws from when it comes to treating skin traumas, preferring not to use animal skins in the way that other countries do. However, the human skin bank is expensive to maintain, and the fact that fish skin can now be used will make a huge difference, especially in developing countries. Covering a burn up with fish skin actually costs 75% less than other common treatments, and works better than the pig skin that is used in other countries. The trial with fish skin is currently being carried out at hospitals across the country, and it will hopefully not be long before this therapy is offered in hospitals all over the world, as it could really make a huge difference to patients in poorer countries, who do not have access to other types of artificial skin. The fish skin therapy mentioned above could almost be considered a sort of burn bandage, and there are a few other studies currently underway when it comes to other types of innovative burn bandages. One of these involves the use of silver in the dressing. Because this can greatly help to reduce infection as well as pain. Silver has long since been recognized for its healing properties, and this is something that science has frequently proven. Unlike traditional burn bandages, these silver dressings are only changed every 24 hours, and can simply be taken off and replaced, rather than the skin having to be cleaned and creamed before being wrapped. This also means that the wound is not exposed to the air for very long, significantly reducing pain, as well as the chances of infection. Another exciting new therapy to treat skin trauma has been conceived by researchers at Johns Hopkins, who have created a jelly-like material, as well as an accompanying treatment method, that can help with severe burns. By promoting the formation of new blood vessels and skin, including hair follicles and oil glands, which scars do not have. The way in which the hydrogel is constructed enables this to happen extremely quickly, and, when it comes to skin healing, the faster the process takes place, the less chance you have to be left with a scar. This is basically a simple wound dressing, but it contains a special hydrogel that was designed by the researchers. This therapy has so far only really been tested on animals, and while this has been extremely promising, more animal testing needs to be done before human trials can be carried out. However, the testing on mice has shown that skin is able to be completely regenerated, which is something that never happens when a severe burn has damaged the skin. The hydrogel dressings are relatively inexpensive to produce, and can also be easily mass-produced, making them a great alternative to traditional burn dressings. In addition to treating burn victims with these hydrogel dressings, researchers are also looking at ways in which the hydrogel could help to treat diabetic patients who are suffering from foot ulcers.